As President Trump continues to battle backlash over his controversial reaction to the white supremacists’ rallies over the weekend, more bad news has emerged: Trump’s approval rating has once again hit a record low. According to a new Marist poll, only 35 percent of Americans say they approve of how Trump is handling his job at the White House. Fifty-five percent say they disapprove of the president. 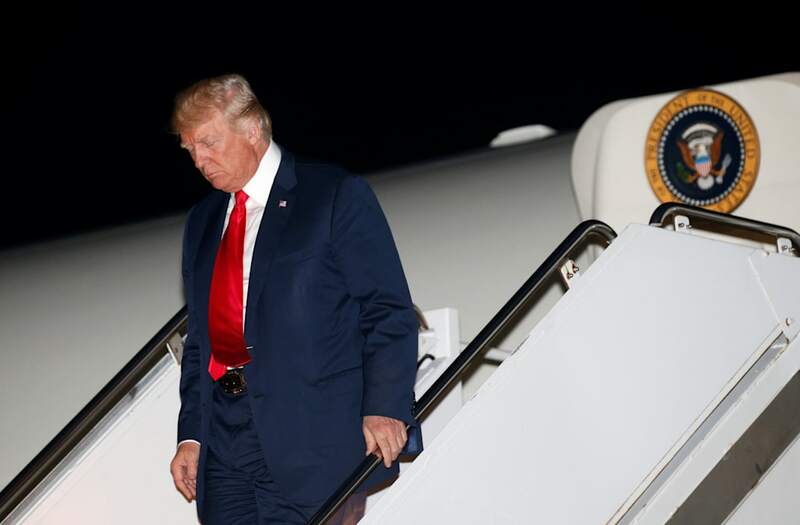 While for the most part Trump has kept up his popularity among fellow Republicans, according to the survey his approval rating has dropped within the party — falling from 91 percent in June to now 79 percent in August. The poll also found that most Americans view trump in a negative light, with about 60 percent saying they do not have positive views of the president. And when it comes to the president’s behavior, just 29 percent say they are proud of how he acts. The Marist poll is based on a survey of 1009 adults between August 8 and August 12.